JERRY'S BEST BETS : Thursday 20th February Dubai Millennium Stakes Bet !!! Thursday 20th February Dubai Millennium Stakes Bet !!! Tasaday can return to winning ways in Dubai Millennium listed stakes. 13 runners declared for the 10 furlong Dubai Millennium listed stakes on turf .This looks decent looking listed race with the three main contenders : Mujaarib , Tasaday & Dastarhon. MUJAARIB: Shock winner last time (25-1) winning 9 furlong group two Al Rashidiya stakes at Meydan beating stablemate Mushreq in close finish,though there looked no fluke about that victory. Had previously shown some fair form in South Africa in 2012 ,winning in grade two company .Has 4LB penalty here ,though has to be respected dropping into listed company . TASADAY : Decent French filly for Andre Fabre ,winning twice in group 2 & 3 company at Deauville over 10 furlongs.Also finished placed behind the very useful filly's Treve & Dalkala in group one company .Disappointed on first start for Saeed Bin Suroor last time at Meydan after pulling hard ,though should come on for that run and has obvious claims on her French form . 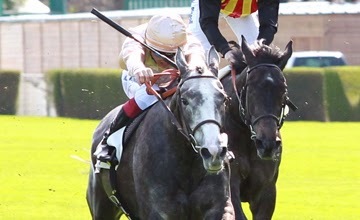 DASTARHON : Had some decent form in early part 2013 ,including finishing second in French 2000 guineas at Longchamp. However had looked disappointing on last five starts in France ,returned to some kind form last time finishing fourth behind Mujaarib at Meydan.Should be suited stepping up in trip . VERDICT : Mujaarib has obvious claims after winning group two last time over 9 furlongs and step up to 10 furlongs shouldn't be problem .However at top price 7-4 doesn't look great value and has never looked the most consistent of performers in past . TASADAY will need bounce back after disappointing effort last time at Meydan , though had some excellent form in France last season ,including finishing placed three times in group one company and looks more than capable of winning listed race at Meydan . Odds around 4-1 look very fair value . Thanks Jason ,nice to have change of luck .The bets at Meydan have been doing Ok this season .